Apo Whang-od Oggay is truly a person worthy of our Filipino pride. She is the “last” mambabatok or traditional Kalinga tattoo artist from Buscalan, Kalinga. 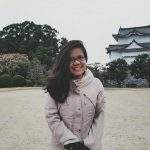 The hundred-year-old Filipina will receive a national cultural heritage award from the National Commission for Culture and the Arts (NCCA) this month. Whang-od will receive the 2018 Dangal ng Haraya Award for Intangible Cultural Heritage on 25 June 2018. It is an award given to living Filipinos for their contributions to the Philippine arts and culture. Previous recipients of the same award were Senator Loren Legarda and Dr. Jesus Peralta. The respected artist uses charcoal and calamansi thorns to create her signature designs. Getting a tattoo this way may be more painful compared to machine tattoos. But a lot of people still want to experience being under the hands of the legend. Local and international tourists travel all the way to Buscalan to get a tattoo by Whang-od. If you’d like to get a tattoo by Apo Whang-od, you have to prepare yourself not only emotionally but also physically. Travelling to Apo Whang-od’s place requires a challenging trek. Travellers must hire a tour guide especially if they want to get a tattoo during their visit. Apo Whang-od has gained the respect not just of her community but the entire nation as well. Recognising her contribution not only to the arts but also in cultural appreciation is just right. 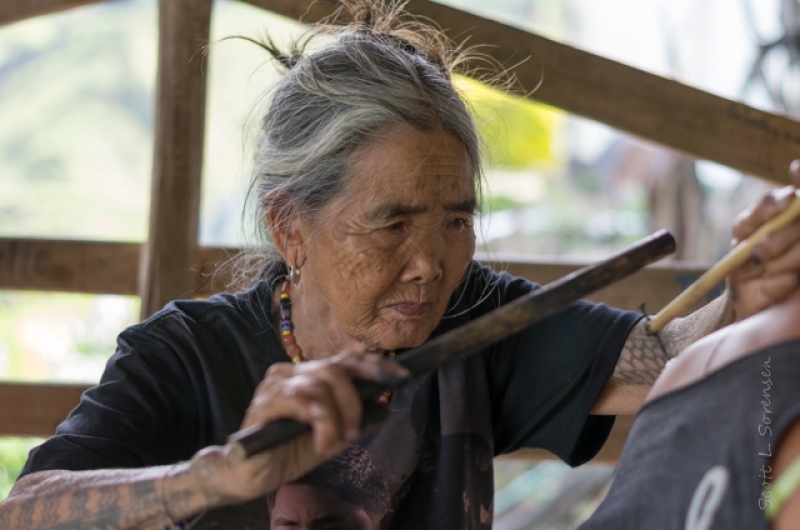 Although she is now passing the traditional technique to women of the younger generation, it would still be an honour to get a tattoo by the living legend, Apo Whang-od.